PowerViews are exclusive EnergyCAP charts, graphs, and tables that place the most important energy analytics at your fingertips. 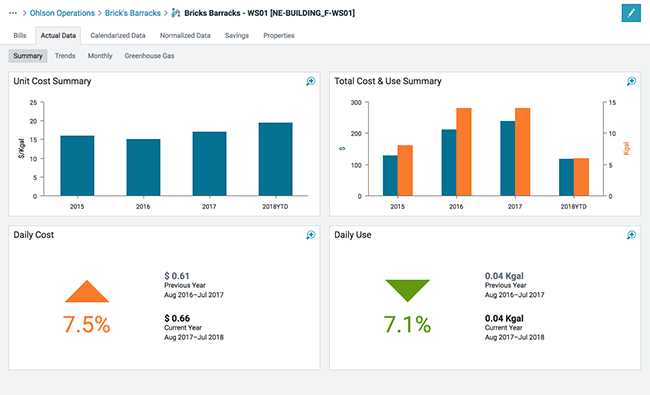 Located throughout EnergyCAP, PowerViews provide valuable energy analytics with a snapshot of cost, unit cost, and consumption for any meter, building, departmental or accounting division of your organization. This data presentation enables you to quickly spot issues, trends, and savings opportunities. PowerViews are automatically displayed and dynamically updated, and the associated data can be copied and pasted into other applications for external reporting and analysis.